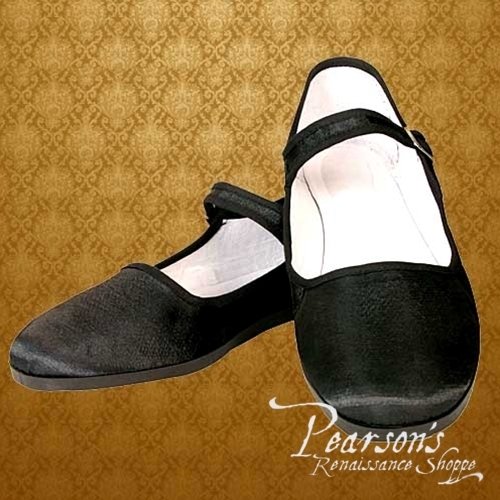 This will be one of the most versatile and comfortable pair of shoes in your ensemble. Solid silk construction, rubber soles. Adjustable straps with a nickel plated buckle. Black only.